HOW IS YOUR MEDICINE MANUFACTURED? With several years of experience in pharmaceutical production, we noticed the need in the industry for a certification that guarantees that drug manufacturers take into consideration the impact on the environment, concerning: Antibiotic resistance, manufacturing, transport and packaging. Today's pharmaceutical industry, like many other industries, use unnecessary and excessive packaging. There is considerable scope to improve and optimize packaging, in terms of quantity and material choice, and reduce the impact the unnecessary packaging has on the environment. This is not only good for the environment, but we can also reduce the cost of drug production and ensure better returns for pharmaceutical companies and many times cheaper product for customers. Today the dream of combining our passion for the environment with the innovation of ANSVAR® has become a reality. We want to be part of creating a sustainable pharmaceutical production that reflects the future we want to see for our children and our childrens children. 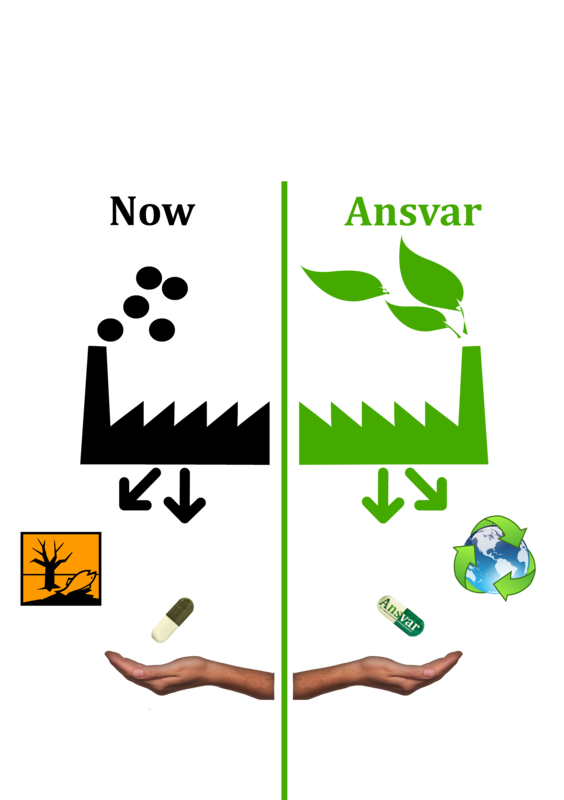 ANSVAR® is a branding and certification for consumers and pharmaceuticals companies who want to make a positive influence towards the development of a sustainable world, so they can become, not only the agent of healing, but also champions for the environment. In Swedish ANSVAR® means responsibility. For us ANSVAR® means taking responsibility for the environment. I invite you to find out more.